Family holidays are a time for exploring, playing and creating sun-soaked memories. 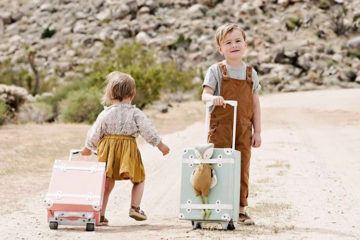 While there’s no doubt that travel changes once a baby comes along, there are a few essentials that make traveling as a tribe easier and save any tears (and frustration) once you arrive. 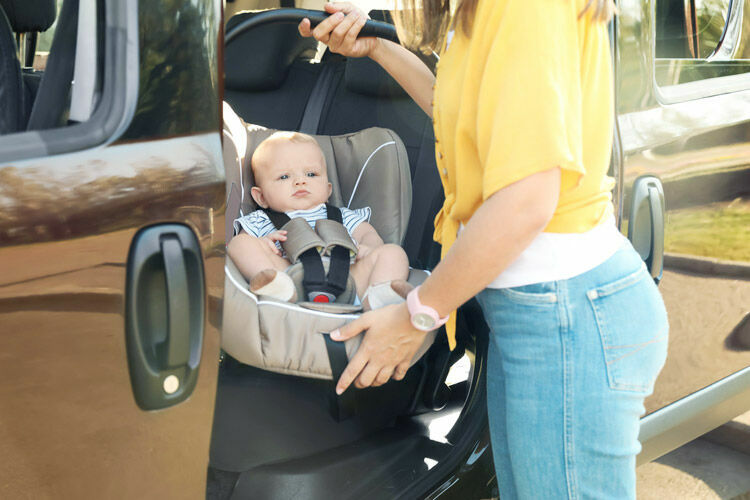 Having a trusty portacot along for the ride ensures baby can rest and parents can catch their breath before the next round begins. The best travel cots are lightweight, easy to assemble, safe for baby to sleep and durable enough to last future family holidays to come. Size: Your portacot will need to fit in the boot of your car along with lots of other luggage. Keep size and storage at home in mind. Lightweight: Again, you’re likely to be carrying your portacot alongside lots of other luggage. Be realistic when considering how much weight you can physically carry. Quick assembly: The quicker the cot goes up, the sooner baby goes down. Too many fiddly bits could lead to added frustration at the other end. Longevity: How many family holidays and weekend trips are you likely to take each year? 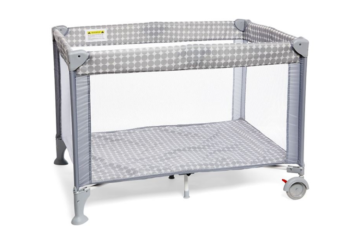 A travel cot needs to be able to withstand a few knocks and bumps along the way. Safety: Babies safety is paramount. Look for a portacot with breathable fabrics and made to correct safety standards. Accessories: Extra accessories are always a bonus, especially when you’re away from the comforts of home. 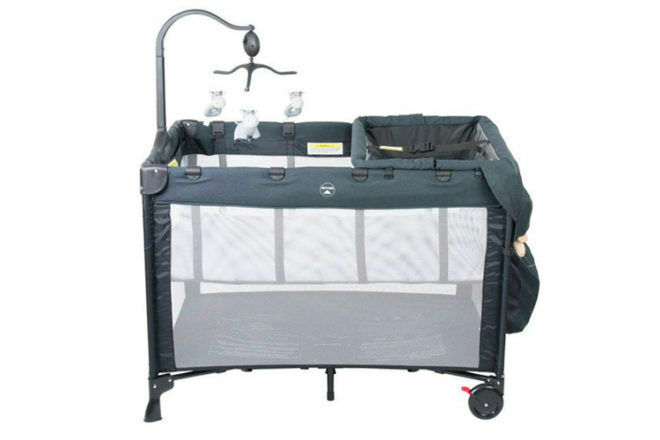 Your travel cot may come with a bassinet insert, a carry bag or a mosquito net. Whether its a weekend away or an extended family holiday, tiny travelers need somewhere safe and secure to snuggle up in. Here are 9 of the best portacots for babies and toddlers as recommended by our Pregnancy and Baby group members. Steelcraft 4-in-1 Portable Cot ($199.95): Complete with bassinet, musical mobile, change table and a large side storage pocket, this handy portacot gives baby a safe place to sleep while covering multiple other uses to save on space. The addition of wheels is a real bonus – perfect for shared hotel rooms. 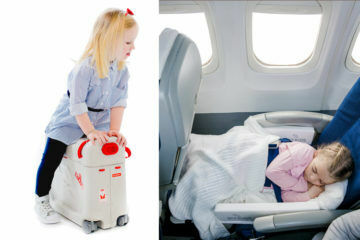 BabyBjorn Travel Cot Light ($395): Travelling with kids is a lot to juggle, without the extra weight of bulky items. The super lightweight cot from BabyBjorn makes all the difference. A simple frame and soft comfortable mattress are a breeze to set up and fold away, giving you more time for snuggles and stories. Suitable for children up to three years of age. 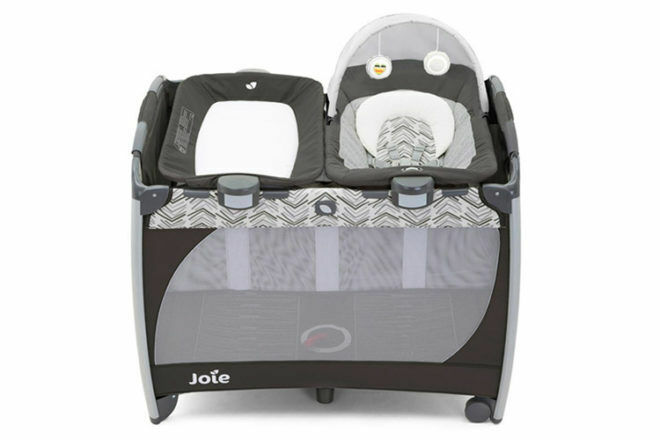 Joie Excursion Change & Rock Portable Cot ($399.95): Suitable from birth right up to 15kg, this portacot really has it all. With the click of a button, remove the handy rocker and take your sleepy bub into another room, to the pool or even out for dinner. There’s also a changing unit for those late-night nappy swaps and a mesh lining on all sides for optimum ventilation. 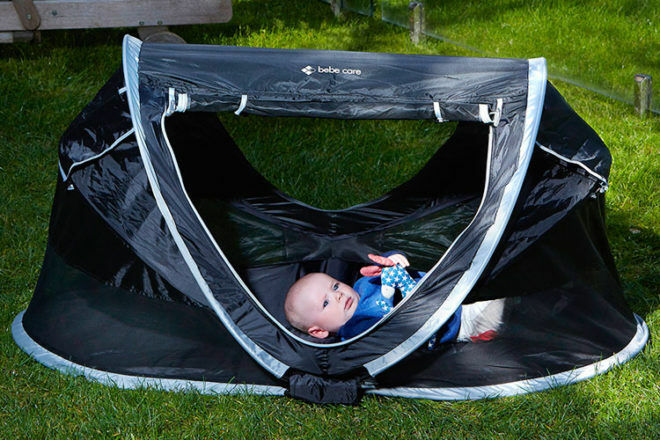 phil&teds Traveller V4 Portacot ($199): Meet the portacot that’s lighter than your baby! 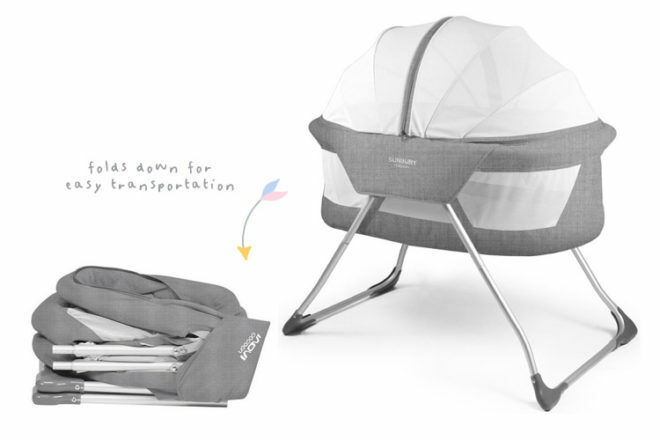 Weighing in at just 2.8kg, this travel cot is light as a feather with a few snazzy features to boot. A zip-open side transforms the cot into a play space for baby and a self-inflating mattress makes for speedy assembly. Win-win. 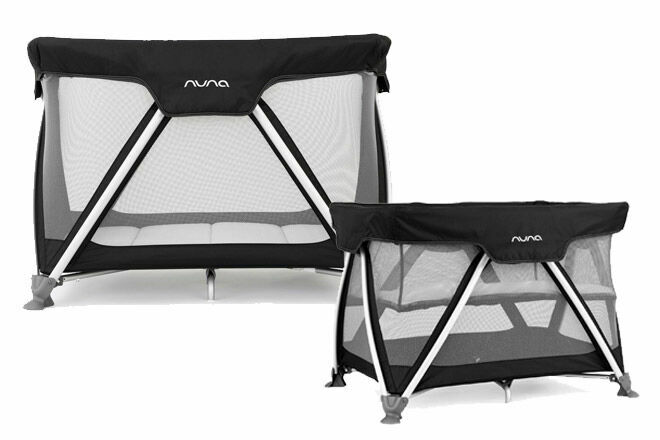 Nuna SENA 2-in1 Portacot ($379): Wave bye-bye to the manic morning pack up. The savvy SENA is the only portacot on the market that folds away with one hand. Assembly is a cinch too, thanks to a unique zig-zag design that allows the cot legs to ‘pop’ open quicker than you can say “time for nigh-nigh”. Recommended for babies from birth to 15kg. 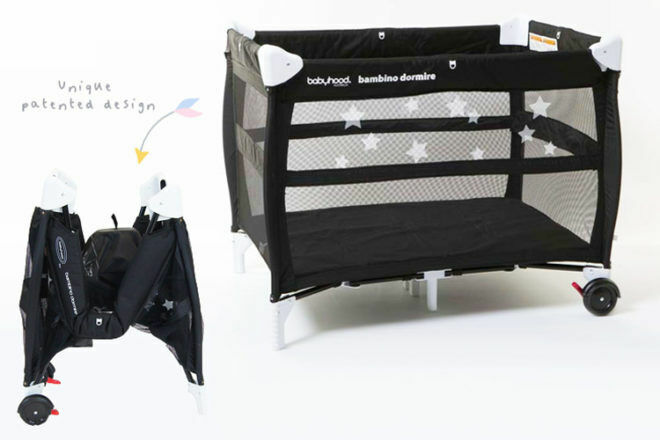 Babyhood Dormire 2-in-1 Portacot: ($299): Wheel right this way! 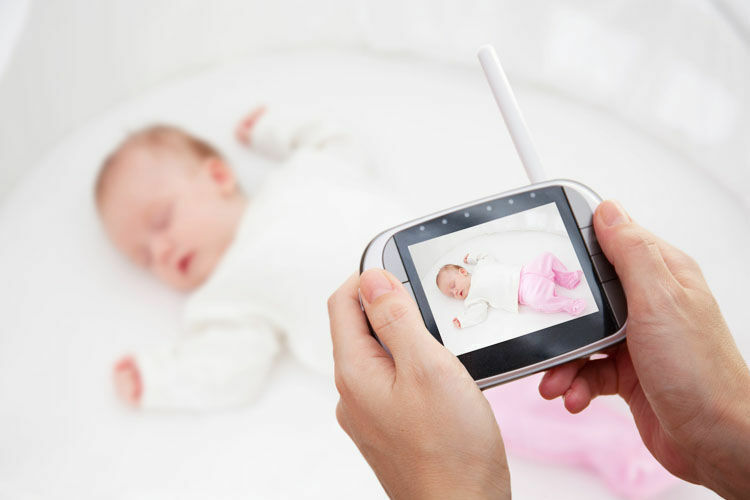 The award-winning portacot from Babyhood boasts standout design with brilliant features. The fully mesh sides provide baby with a comfortable sleeping environment while giving mum and dad a chance to check on baby from any angle. Convenience is key with this cot – a simple zip and clip system, lockable wheels and carry bag ensure setups and pack-ups are as easy as 1,2,3. 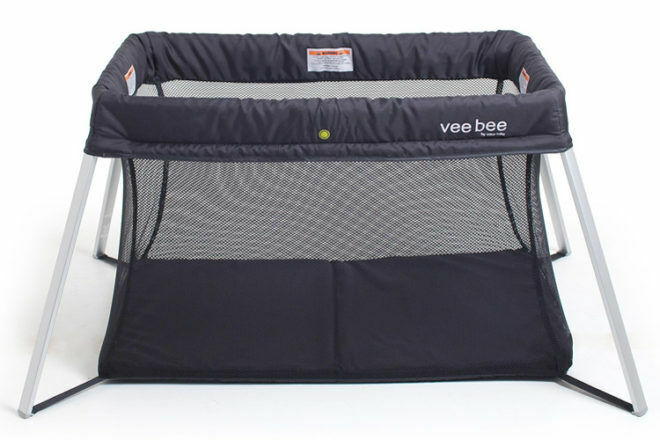 Veebee Amado Travel Cot ($169.99): Thanks to its slender aluminium frame, this nifty travel cot folds flat ready to be tucked away into its accompanying travel bag. Weighing in at just under 4kg, it’s ideal for plane travel or taking to the grandparents. 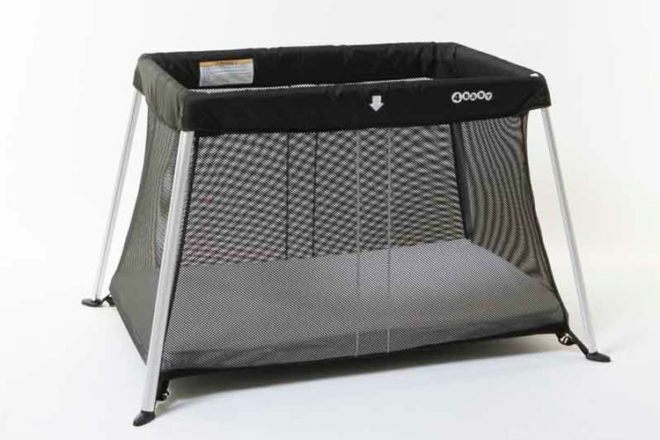 With fully mesh sides, this cot also offers complete visibility of your dreaming, darling bub. 4Baby Liteway Travel Cot ($119.95): A cuddle-worthy padded mattress earns this portacot rave reviews. Featuring a similar design to many others on the market but at a fraction of the price, it’s a no-brainer for last minute family holidays. 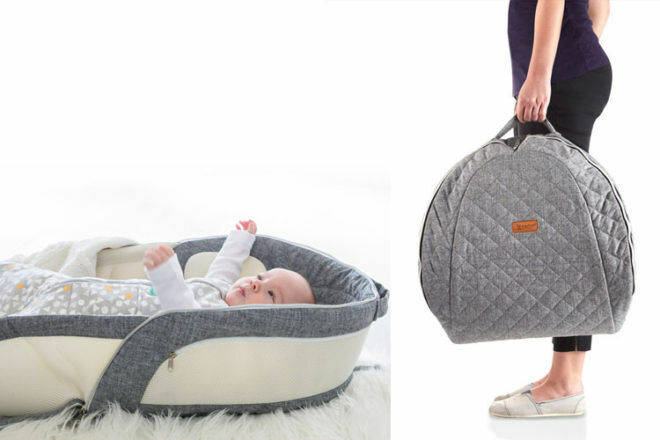 Childcare Aero Portacot ($69): Made with families on the move in mind, this compact travel cot packs down into a slim, easy-to-carry case, leaving extra shoulder room (and elbow grease!) for all that other luggage. Coming in at under $70 it’s the least expensive portacot on our list too. Smaller babies don’t necessarily need a full-sized portacot for their daytime naps. 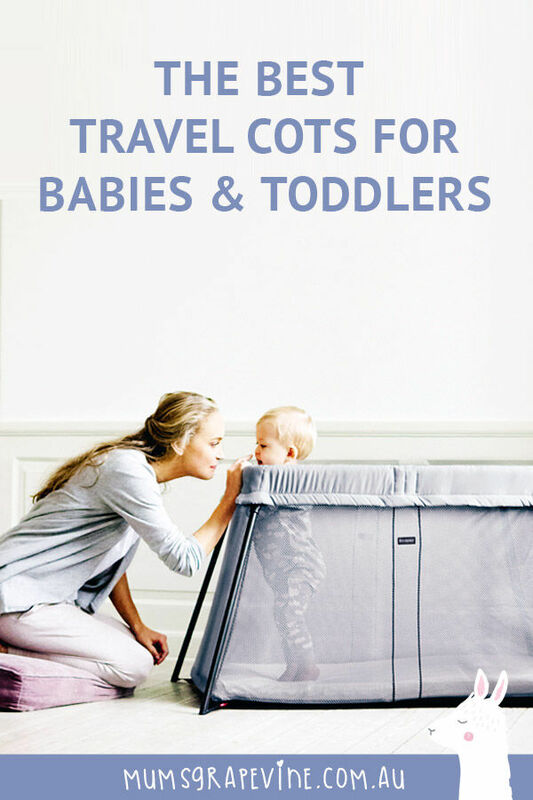 Whether you’re visiting a friends house or pottering around at home, these travel cot alternatives may be all baby needs while they’re teeny tiny and sleeping like…well, babies. Done by Deer Cozy Nest ($129.95): Home or away, what a beautiful bed for baby. Made from 100% cotton, it resembles the comfort and closeness of being in the womb. As baby grows, simply adjust the size of the sleeping area with the string provided. 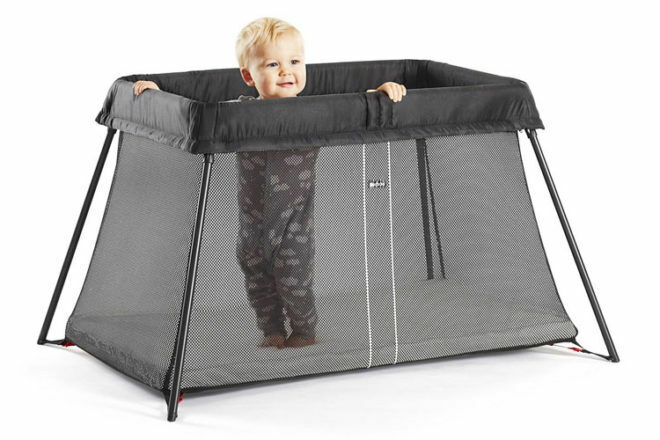 Fisher-Price Baby Dome ($72.77): A playpen and portable napping spot all-in-one. This clever little creation gives bub an enclosed space to sleep and smile at the toys hanging above. 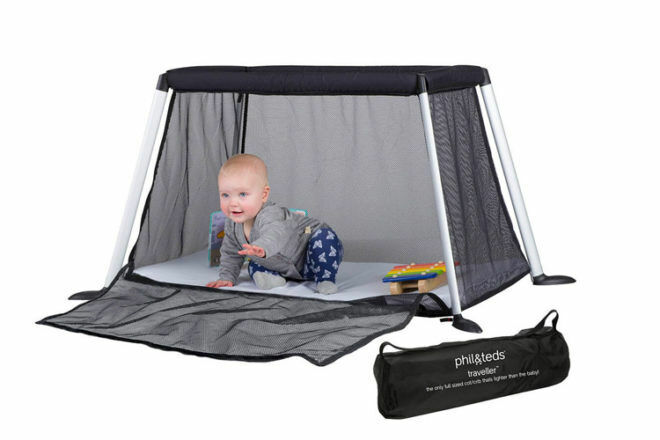 Perfect for indoors and outdoors, the handy canopy protects little one from the sun and pesky flies all while giving mum peace of mind that they’re staying put. 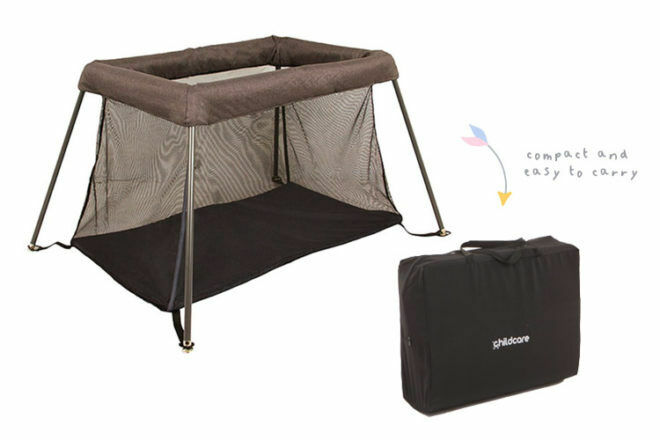 Sunbury Cocoon Bassinet ($199): A safe and secure sleep space for the home that doubles as the perfect travel companion. The Sunbury Cocoon is ideal for families with newborns needing a little flexibility. The lightweight bassinet can be easily moved from room to room or folded down and stashed in the car ready for a weekend away. 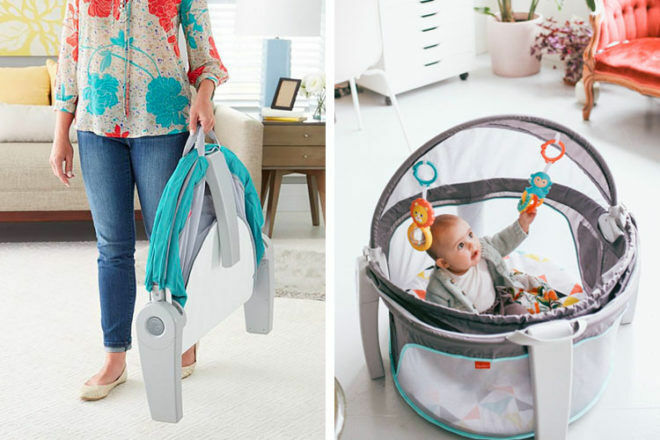 Bebe Care Baby Travel Cot Dome ($117.99): Like a pop-out tent, but for baby. The dome-like design creates a darkened place for little ones to lay down and nap while the world carries on around them. A UPF of 50+ makes it ideal for camping and beach trips – simply fold away when not in use. Cocoonababy ($299): Providing a gentle, cocoon-like environment, the clever Cocoonababy is designed to help baby get better sleep. By keeping bub in a semi-foetal position, the ergonomic nest reduces the effect of the ‘startle-reflex’ that often wakes most sleeping cubs. Recommended for babies from 2.8kgs until they begin to roll or change position. Can be used in or out of a cot. 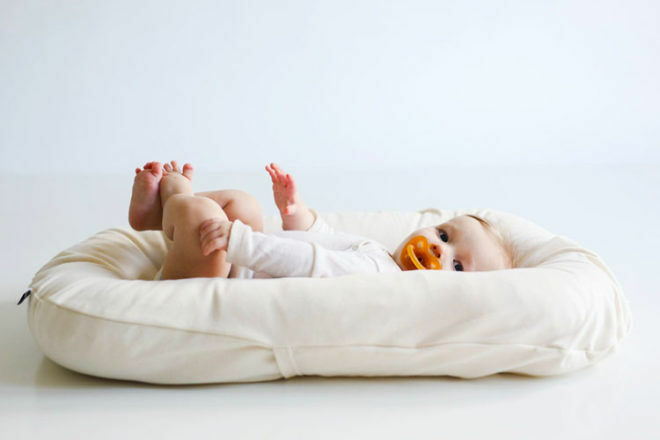 Snuggle Me Organic Baby Lounger ($280): Made from certified organic cotton, the pillow-like lounger creates a comfortable environment for baby to cozy up in. Ideal for use at home or holidaying at hotels, the super soft Snuggle Me can be used from birth until bub begins to roll. ergoPouch Foldable Carry Bed ($149.95): Convenience plays a huge role in the thoughtful design of this carry bed. Compact enough to carry in one hand and small enough to store overhead on a plane, it’s practical and functional rolled into one. Mesh panels and an organic cotton mattress ensure complete airflow at all times while baby sleeps soundly. 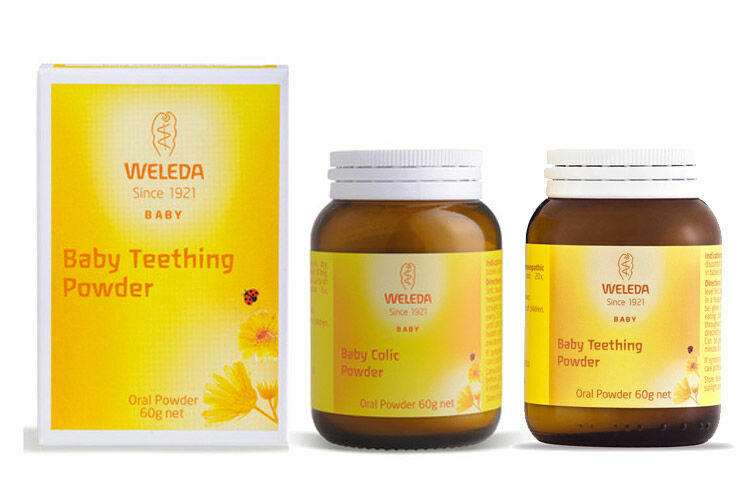 Recommended for babies 0 – 6 months. 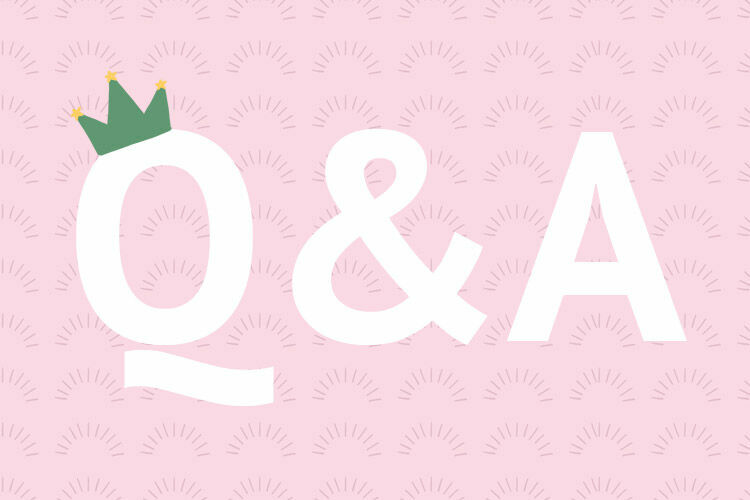 Wondering what to take when travelling with a baby? Jump in to one of our Facebook baby groups and chat with thousands of other mums with babies the same age as yours. They are always talking about tips for travelling with babies. Click and join your group today! Portacot, tick. Travel pram? 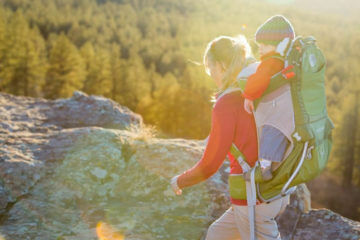 Baby Carrier for hiking, read our next articles for our top picks.